The BMW i8 is a truly spectacular car. An electric vehicle, hybrid, and mid-engine supercar all in one, the i8 manages to be both environmentally friendly and thrilling to drive at the same time. And it happens to look like nothing else on the road. Though many car manufacturers pride themselves on designing “futuristic” cars, our BMW i8 rental actually looks like it’s from the future. If you are visiting San Diego or Southern California, our BMW i8 rental promises to make the trip a unique and memorable one. Not only because it’s likely to be the only one you see during your entire visit – even in Southern California, the i8 is a rare site – but also because it’s simply an incredible car. We promise, you’ve likely never driven anything like it. If you are interested in hiring our BMW i8 rental, available in San Diego and Southern California, we welcome you to call or email our office today to make a reservation. 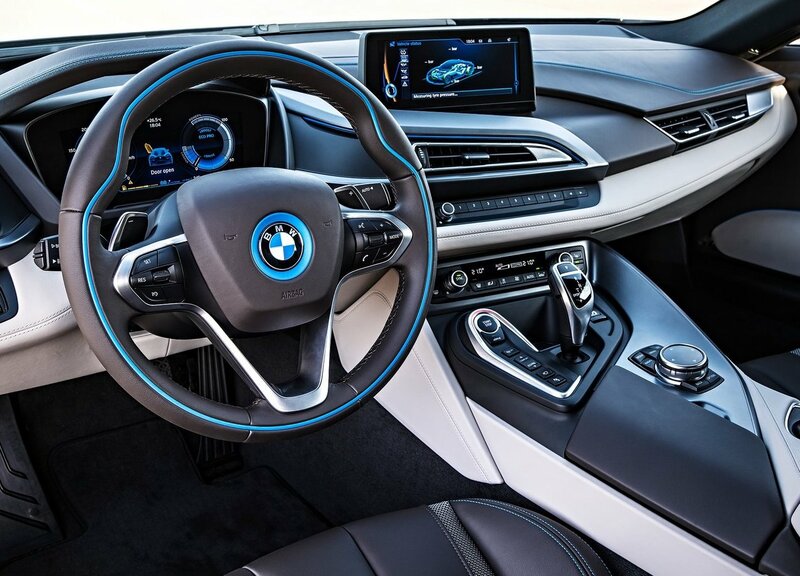 To experience the current state of the art, look no further – the i8 is it. 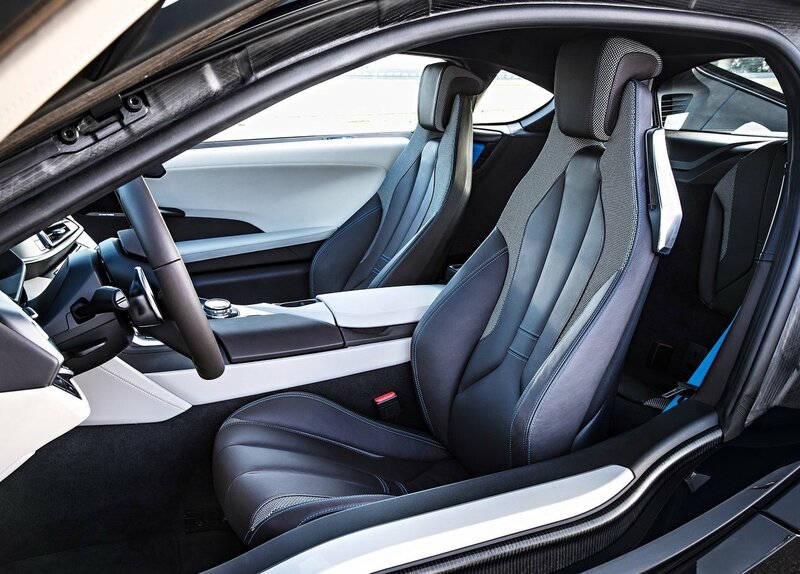 One look at BMW’s revolutionary i8 supercar and you know that it’s not like other cars. The first thing that catches your eye is its appearance. It truly looks out of this world. If it were on BMW showroom floors in the year 2050, it would likely still impress with its low and wide stance and radical lines. That it’s available in the year 2016 – when four-door crossovers and SUVs rule the road – is nothing short of extraordinary. But if you look beneath the surface, the car is equally impressive and unique; in fact, perhaps even more so. 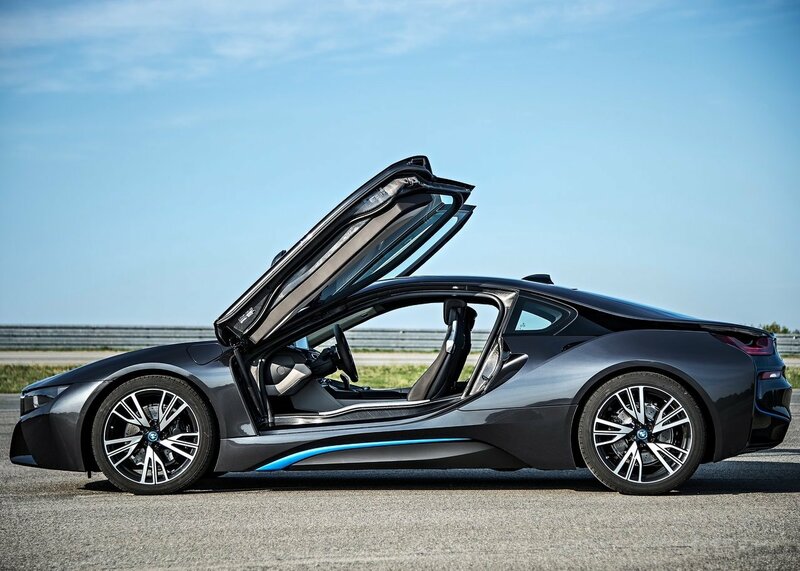 We pride ourselves on offering unique hardware at our San Diego office, but even among Ferraris and Lamborghinis, our BMW i8 rental stands out. For one, it’s a hybrid. 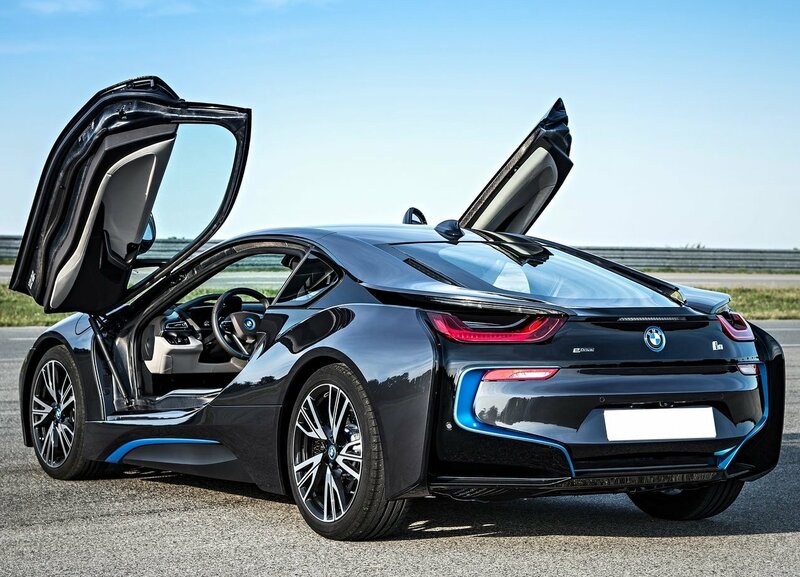 An electric motor augments the i8’s standard engine to offer superb performance with a low environmental footprint. Beyond that, however, the i8 is also capable of operating as a fully electric car, and this is where it truly stands out. Place the i8 in electric mode, and it will give you up to 15 miles of travel – not enough to drive to Los Angeles from San Diego, but certainly enough range to drive through the middle of town in complete and utter silence. Electric power is there when you want it, but you don’t have to depend on it. For us, that makes all the difference. How would we sum up our BMW i8 rental? Well, it’s a gas-powered, mid-engine supercar that looks like it comes from the future and can be driven fully on electric power. What’s not to like? It can’t be said enough: the i8 is not like other cars. 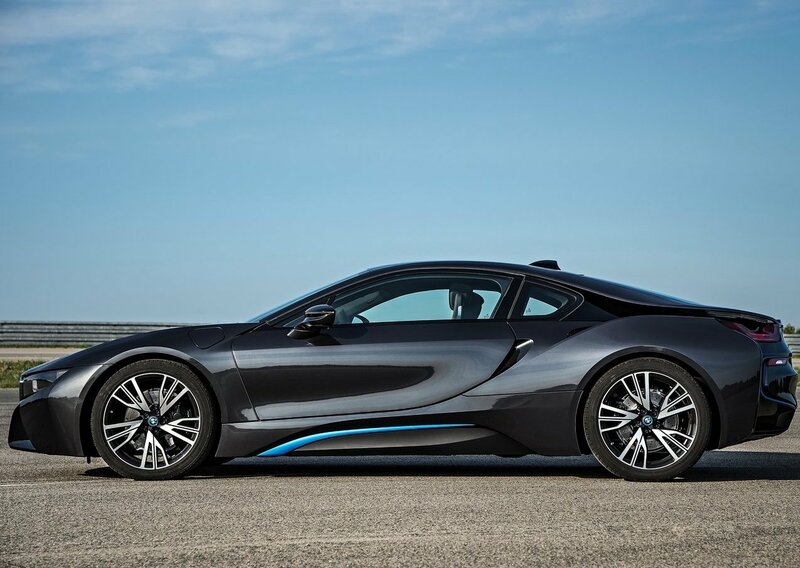 Even if you’re accustomed to the best from Porsche and Ferrari, we can assure you that our BMW i8 rental will impress. At our San Diego office, we offer our clients the best cars in the world, and we can say without reservation that the BMW i8 is one of them. Thrilling to drive, incredibly unique, and absolutely stunning, it represents the future. But you don’t have to wait. You can experience it today!